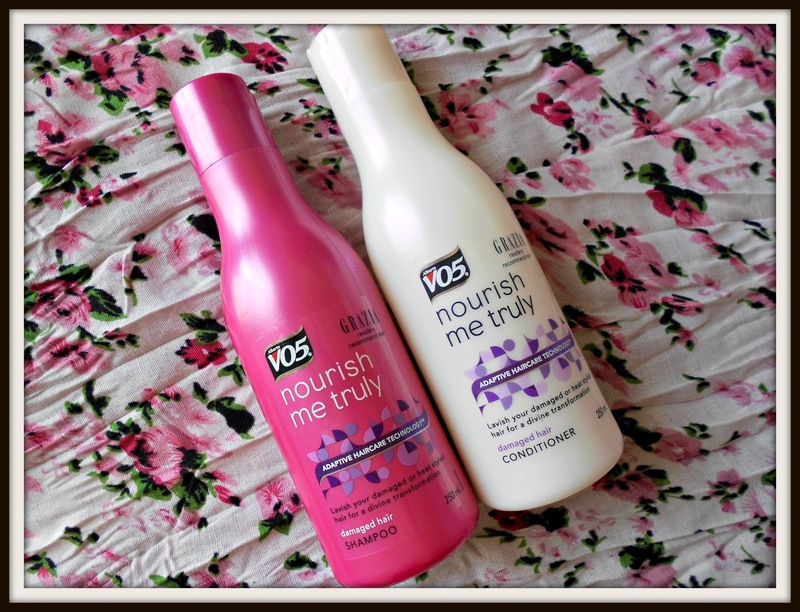 Every three months or so I like to change my shampoo and conditioner: this is because I don't want my hair to get used to them and no longer 'benefit' from their nutrients. 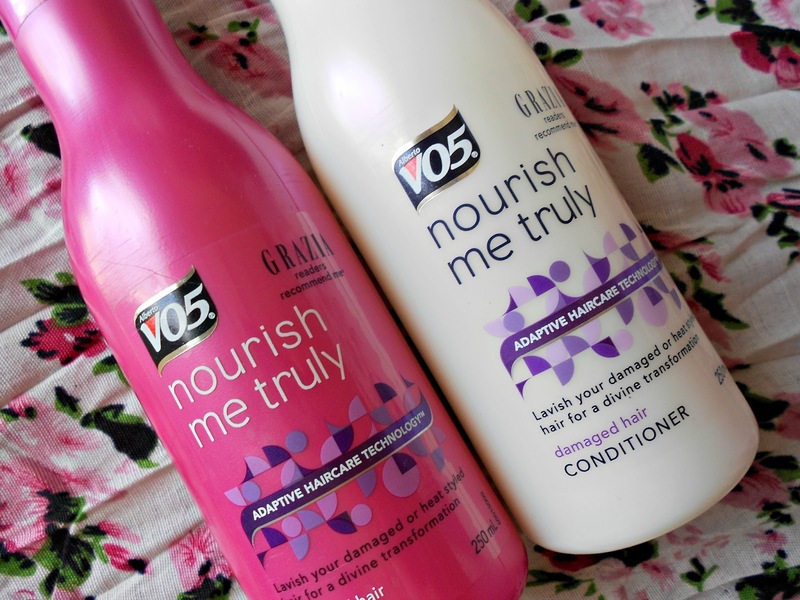 I bought the V05 Nourish Me Truly Shampoo & Conditioner. What first caught my eyes was the pink and white packaging. What then sold me was the price tag! 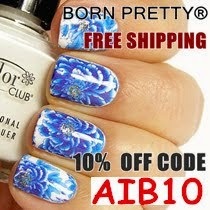 I bought these approx. Euro 2.80 each which is really affordable. The Nourish me Truly line is meant to be used by persons with damaged hair. Now to be honest I don't have that much of a damaged mane since I rarely ever use heated appliances on it, but I do have some split ends (most probably because I brush my hair really vigorously and end up breaking it). 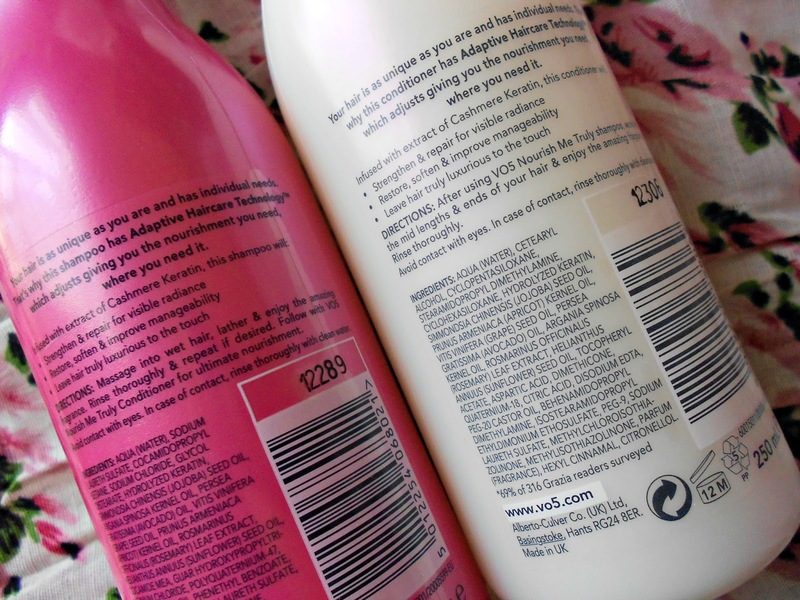 Both the shampoo and conditioner are enriched with a blend of cashmere keratin - which helps tame your hair. My hair feels REALLY smooth after I've washed it, and it is also less frizzy. It also gets less tangles. Moreover, these products smell am-az-ing! One of the best smelling cheap shampoos that I have ever smelt.